Local I‘a is distribution and subscription based seafood business. We source local, in-season seafood that is caught through pono fishing practices and distributed directly to chefs and consumers. Local I’a was established to increase the awareness of where our seafood comes from, highlight our hard working pono fishers, and provide healthy local seafood. Local I‘a CSF takes a quadruple-bottom line approach, seeking to create positive environmental, social, economic, and cultural changes in our island community. The overarching goal of our business is to support sustainable fishing livelihoods by increasing the value of local fisheries, improve consumer access to fresh, local, responsibly caught seafood, and preferentially source from sustainable fisheries that are well-managed and can provide seafood for future generations. 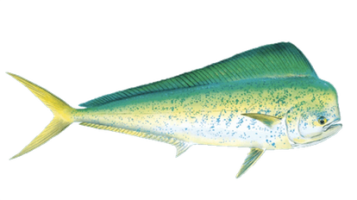 "The mission of Local Iʻa is to increase accessibility and consumption of locally sourced seafood while improving profitability for producers and sustainability in our local fisheries." ▪︎ Enjoy fresh, local, pono seafood! We provide local traceable seafood to your ohana each week. Find out if we distribute in your neighborhood! We source directly from Blue Hook Fishers and delivery directly to you! For more information see member policy page. Go to your pickup site at the designated time and pick up your fish! Since we buy directly from our fishers, we are only supplying what is fresh and in season that week. Our seafood is never frozen unless otherwise stated and delivered to you within 2-3 days of being caught. Preservation of a surplus of seafood that can be eaten in times of shortage is one way Local Iʻa contributes to our communityʻs sustainable food practices. Able to support our fishers and have open dialogue about the status of our fisheries. We have developed strong relationships with our fishers and we source only from local fishers who use pono fishing practices. Each share will come with a barcode which you can use to trace your seafood on your smart phone or computer. You are now able to know the whole story of your fish from dock to dish. Our logo was designed by Kuhao Zane of Sig Zane Designs. The central feature of our logo depicts the magical and legendary fishhook Manaiakalani. Manaiakalani was once used by Maui (a Hawaiian demigod) in an attempt to unite the islands. As a symbol of unity, Manaiakalani calls on fishermen across the pae‘āina to collectively steward our fisheries resources. Attached to the Manaiakalani is the traditional cordage, or aho, that represents the connection to our ocean environment, that which binds us to our ‘āina. The shape of the cordage references an ‘umeke, or calabash, which reminds us of the important role our fisheries play in supporting food security. If we harvest in a pono (responsible) way, the ‘umeke will remain full in perpetuity. Lastly, the four lines of cordage pay homage to the traditional fishers of Miloli‘i, who count their ‘ōpelu (Mackerel scad) in units of four, following traditions of their ancestors. Why should I buy local seafood? Over 60% of our seafood is currently being imported. By buying locally caught seafood, you are supporting local fishermen and giving back to the local fishing community. Why is it important to trace my seafood? Traceable seafood allows you to know its entire story: the day it was caught, who caught and how it was caught. With our traceability app, you now have the opportunity to learn about the health of the fisheries in which your seafood was harvested. This enables you to make more informed decisions when you purchase your seafood. Are we using farmed or wild seafood? We are predominately using wild caught sustainable seafood. Occasionally, we will highlight certain aquaculture/aquaponics operations here in Hawaii. All payments are done online through an online CSA software called Farmigo. You will create an account on Farmigo in which you are able to track and make payments and modify your subscription to Local Iʻa. When you sign up, you commit to buying 4, 8, 12, 24, or 48 weeks of shares. You pay in increments of 4 weeks. How do we know what is caught sustainably? We have developed a list of sustainability standards, called our Pono Fishing Standards. These standards integrate the MSC pre-assessment criteria with traditional Hawaiian fishing knowledge. Where are our profits going? Our business is built on helping our fisheries thrive here in Hawaii. We support efforts that help to manage our stocks and help fishermen fish in sustainable ways. Profits at the end of every year will go to initiatives that help the fisheries. No, we are working directly with small “day boat” fishermen. Day boat fishermen fish and sell their catch all within one day. This ensures that we are providing you with the freshest possible seafood. Are we selling to restaurants? Most restaurants want a steady consistent supply of seafood. We are getting our seafood directly from the fishermen who fish from wild stocks. We cannot guarantee to restaurants a steady consistent supply. We are currently working with restaurants that have the flexibility within their menu to offer a wide range of seafood. Where do I pick up my fish? Kaimuki Superette, Kokua Market, Morning Brew in Kailua, Madre Chocolate (downtown location), and Punahou School (faculty and staff only). Possible Northshore and Waimanalo locations coming soon! There are 2 types of fish shares: A Kau Share is $25 each week and feeds 2-3 people once a week (usually between 1.5-2lbs of fish). An Ohana Share is $40 and feeds 4 people once a week or 2 twice). What is included in my share? Each share contains fresh, local, pono seafood, sourced directly from fishers to your plate. Each share contains a unique code that tells the story of your seafood, as well as a recipe on how you can prepare it.